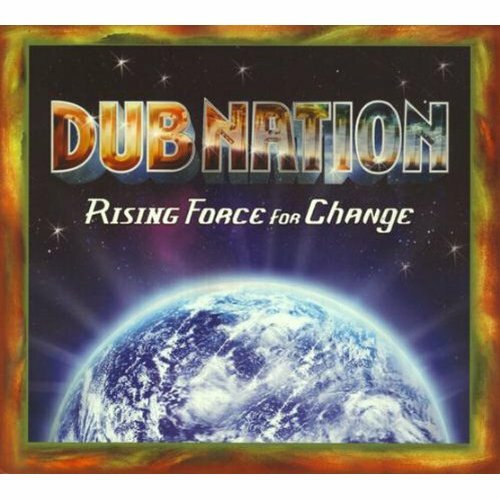 What with the presence of 1) a couple of alumni from The Spinners, 2) a whole bunch of 60s-era rock/pop lyrics like “spinning on a carousel” and “we’ve got to come together,” and 3) a few left-over melodies from 70s soul and gospel, you might think this album by Dub Nation is neither current nor really reggae. On the first point, I’d say that may actually be in its favor and in any case there is a bit of contemporary MCing in there. On the second point, I’d simply report that the group does try to save the world with at least half the tracks, so I rest my case: it is reggae. Rastafarian-style reggae, in fact. And it’s very good reggae, in large part because it so effectively borrows from the past and from other genres. For example, the exaggerated soul-era vocal mannerisms of Stevie Wonder’s “’Tis a Shame” (pronounced, of course, shay-yame) work beautifully; they make me want to sing along. And the highly enjoyable “Goodbye to Yesterday” actually says hello to yesterday with its percolating bass and nostalgic rocksteady feel. To take a broader view, the varied but always strong one-drop rhythms are based in the roots of Trenchtown but surrounded by smooth, ultra-professional and often complex arrangements that make great use of a flawless horn section and even a small orchestra, with strings. Sure, there’s nothing on Rising Force for Change that’s as strong and funky as, oh, let’s say the full-length (i.e. album) version of “Rubberband Man” from The Spinners’ heyday – which would be asking way too much, I know. But the disc does offer today’s listener a pleasurable backward glance as part of its “Generous Dub” (to quote the final track’s title) of atypically spiced reggae.